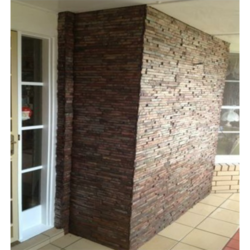 Pioneers in the industry, we offer stone waterfall cladding and waterfall wall cladding from India. Being one of the reputed organizations in the market, we are engaged in providing an exclusive range of Stone Waterfall Cladding. This product is fabricated using optimum quality material and latest technology resulting in robustness and lasting performance. With huge knowledge and expertise in this field, our experts are working towards gaining utmost client satisfaction with the aid of our optimum quality products.